ESAT-6 Recombinant produced in e.coli is a single, non-glycosylated, polypeptide having a total molecular mass of 11261.35 Dalton.The ESAT-6 contains 6 additional amino acid residues - His-Tag. Early Secretory Target Mycobacterium Tuberculosis, ESAT-6. 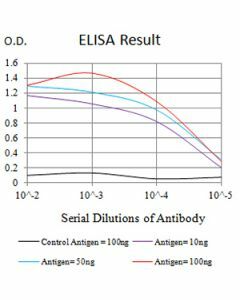 The protein (1mg/ml) was lyophilized after from a sterile solution containing 50mM Tris-HCl, pH 8.0, 1mM EDTA and 1mM DTT. 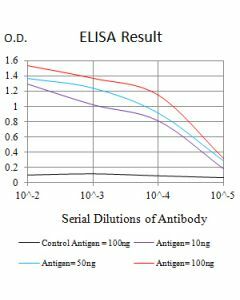 It is recommended to reconstitute the lyophilized ESAT-6 in sterile 18Ω-cm H2O not less than 100μg/ml, which can then be further diluted to other aqueous solutions.